It's a bit bitter. But it's definitely above average for a pale ale. It's got an orange hue to it that I would associate more with a lager, but this is very definitely an ale. It's got a good heap of hop in it, but the malts that they used are a bit underwhelming. Ales are usually pretty good to drink with a strong meal, as the beer can stand up to it. This ale would do okay, but those malts (caramel and carapils) aren't doing it any favors. 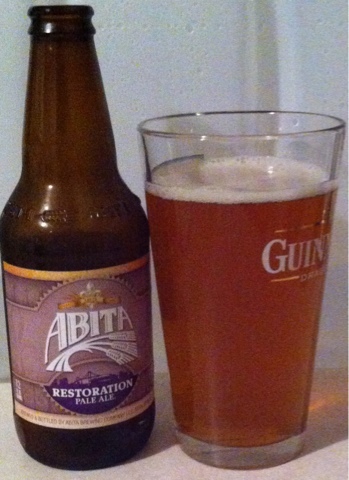 The Restoration part of the title refers to the proceeds for the sale of the beverage. It is unclear by their website if they are still contributing, but it was originally conceived to help rebuild areas of Louisiana (where it is brewed) after Hurricane Katrina. A noble cause, and a decent beer. The tale I tell here is for cautionary purposes. You may look at the credits and think, "Hey, Mila Kunis is cool, and Joel McHale? That's a great supporting cast for Marky Mark the occasionally funny guy from Family Guy." Stop thinking that. Just stop. 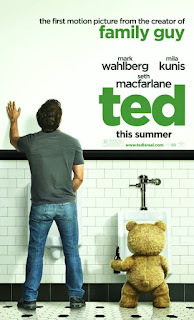 Ted is a story about a teddy bear that comes to life and is friends forever with the child who owned him. See, it's funny because the boy grows up, and the bear becomes crude and very much not like a child's toy. See? That's funny! Oh, the laughs the writers must have had sitting at the table working tirelessly over the Macbeth-quality script. It's not like you need a second joke! You can just stick with that joke, and it would carry this movie and like four sequels, easy. Ben Affleck is a terrible actor, and he should have been shot after DareDevil. But he wasn't. 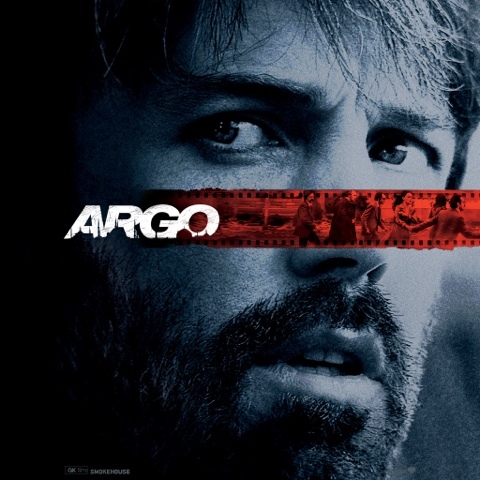 As a result, we got Argo. It attempts to tell the true story of the rescuing of people who were trapped in Iran (not the hostages, mind you). So, as the movie progresses, the crutch that it relies on is the idea that things have to happen at JUST the right time. At no point is it suspenseful, as the viewer knows pretty well that they have to get to the next part. After all, they built up the next part as bigger and more scary than the one we are watching. The upshot is that it wasn't terrible, but it ain't good. 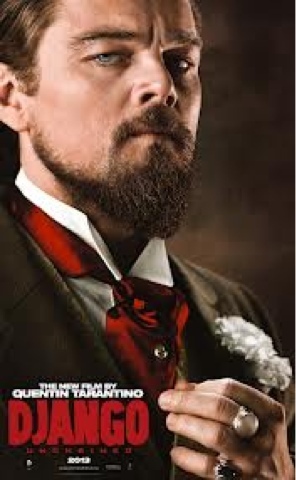 It's the kind of movie I would expect Ben to be in, and I can't recommend it. This review has been updated here. Okay, these people need to stop calling things "ale" when they don't know what else to call it. I'd call it a kind of cider. The definition of ale, according to The Google is, "A type of beer with a bitter flavor and higher alcoholic content." This Georgian beverage has a lowly alcohol content of 5% by volume and is decidedly sweet. It's not a beer, and one should not confuse the two. Fortunately, I have recently had experience with adult apple-based beverages, and this is not a shock to me. Instead, I am enjoying it for what it is - sweet and tangy. As long as you're in the mood for apple juice with a very tiny little (almost imperceptible) touch of alcohol, this is perfectly good. It's my second such beverage, but the first from Redd's. Unfortunately, I only have a vague recollection of it pretty much tasting the same as this one. She's a bit sweet and has some spice. There is an interesting tanginess to it as well. That's mostly odd because its an ale, and they tend to be bitter. Not this one. I guess they do things differently in Texas. It's a good beer, and it would probably go great as a compliment to a strong dinner, as it would not overpower whatever food you may pair it with. It also would do just fine by itself while hanging out with some friends. What I wouldn't recommend is just sitting and drinking it alone. First, it's kind of sad - believe me. Second, it doesn't have enough of a personality to stand on its own. Ever wonder why some beer smells skunky after it sits too long? Turns out, SCIENCE! Well, Sam had a good run. See, I had gotten a hop sampler, and that's why I had the two tremendous beers earlier this week. This was the last of the bunch, and I'm a bit disappointed. It not horrid swill, but they claim to have gone to a bunch of different places on the 48th parallel (which they refer to as the "hop belt") to get her hops for this, and it just wasn't worth it. It's bitterness to hoppyness ratio is completely off toward the bitter. The malt doesn't mask anything but the hops themselves. Again, this isn't a horrible beer; it's just a letdown. After the success of the Whitewater IPA from Sam Adams, I figured I would get a stinker. Surprisingly, this was not the case. The Sam Adams Noble Pilsner is a very good beverage. I would sooner have a few more of the IPAs, but it's like saying I would rather have the Ferrari Italia over the McLaren MP4 12c. It was hoppy, but a lot more muted than the IPA, as you might expect. It was a good balance, and I'd gladly have another one if I had the calories to burn. Now, the biggest gripe I have is about the name. Samuel Adams was an American patriot and one of the founding fathers. If anything would disgust him more than a bad beer, it would be the thought of referring to one of his own beers with a moniker for royalty. I can think of so many other options... I know, some of you are thinking, "Oh, it's named after the noble hops used in this Belgian style pilsner." To you, I say shut up, know-it-all jerks. 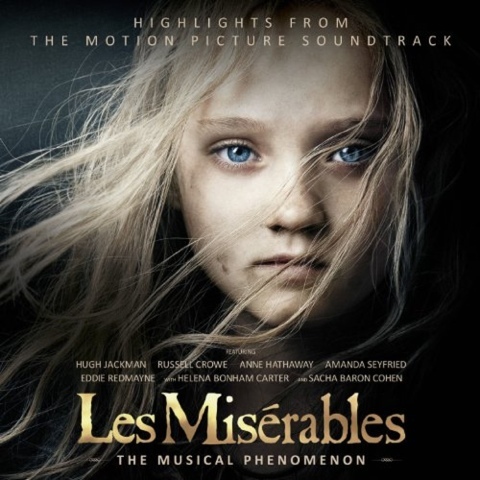 Anne Hathaway can belt out a tune. I mean, she did a hell of a good job. Russell Crow used to be the lead singer for a rock and roll band (before he got famous) and he does an admirable job. Hugh Jackman can't sing his way out of a paper bag. His overwhelming vibrato distresses me on a cellular level. It's like he doesn't know what note to hit, so he hits a bunch and figures that is close enough. The little girl playing the young Coset is precious, and she will inevitably turn into a narcissistic Hollywood type. But, for now, she's just a cute little girl who can hit a note. Helena Bonham Carter in a non-Tim Burton movie? How'd she get out of that exclusive contract? However, when I think of that role of a scraggly, slightly insane woman, I think of her right off the bat. Sasha Baron Cohen as the comic relief was... okay. He's no singer. And he was trying so hard to be funny that it was hard to follow what he was saying for a good portion of his singing. Quentin Tarantino movies are pretty good, in general. Yes, you're going to have the occasional Jackie Brown, but either volume of Kill Bill surely makes up for it. This one is a good movie. Honestly, I wish he would stop getting in his own way. He's got this fixation with 70's movies, and he tries to make every damn movie an homage to them. I want to be clear, though, I do NOT need rap/hip-hop in my westerns. I don't need it in my life, and I don't need it jarring me from the enjoyment of a movie with way too much blood and questionable physics in the fight scenes. I saw an interview where Quentin said he was trying to use this film as a vehicle to bring up the conversation about slavery, as no one is talking about it anymore. Well, I think what he actually brings up is the constant use of the "N" word in culture and movies. It's not hip; it makes some people upset and others uncomfortable. Just stop it, buttmunch. Okay, we've got the new Captain Kirk, Elizabeth Banks, Catwoman, and 13 from House. It should be a good movie. It was so slow... It...was...so.......slooooooooow. It's a drama, and Kirk finds out he's got a sibling after his father dies. So, the whole thing is a way for him and his new sibling to come to terms with their memories of their father. It was just...ugh...make something else happen. Yes, there's the side issue of his job, but you never really give a crap about it. It needs more. Way more. Zounds, I was not expecting this. This is a great IPA. It's got hops to spare (not as much as Heady Topper, mind you) and it manages to do it without the severe bite. I have no idea how they did it, but this manages to give that full hoppy flavor with none of the drawback. I mean, my expectation level with Sam Adams wasn't high. I've not been a fan of their beers in general. But this one... I may have to rethink my view of this Boston brewer. This is not a short movie. Don't expect fast pacing or action or even a love story. 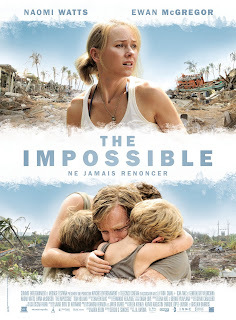 It's based on a family vacationing in Thailand when the giant tsunami hit. Most of the movie is an emotional nightmare along the lines of Serendipity. You may find yourself shouting at the screen for them to just FIND EACH OTHER ALREADY! Please do not do this in the actual theater, as management has informed me that it is not appropriate, and it may impact other people's ability to enjoy the movie. The highlight of the movie is the wave itself. It's some damn impressive CG. I really want to see the Making Of for this movie, as the way they recorded the actors struggling in the water was sensational. The movie itself was slow, but still entertaining enough for a lazy Sunday. I'm not a fan of Ben Stiller; I thought Zoolander was a horrendous waste of time and effort. 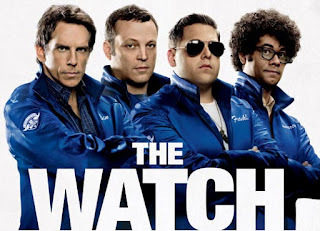 Jonah Hill is - at best - hit and miss. Richard Ayoade is a non-entity here in the US, although I gather he's a person of note over in the Kingdom of United. Vince Vaughn is generally underrated. This was a good comedy. Yes, there are significant plot holes and suspension of disbelief, but the whole thing is just a vehicle to make the funny. And it does an okay job with that. 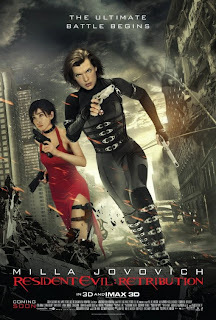 I've enjoyed our time with the Resident Evil series. I mean, it's a video game spin-off with a "B" movie title, and the video game itself wasn't all that great. But you managed to make some interesting movies that combined Sc-fi with action, and your willingness to get virtually naked in every one has not been unnoticed. You even stayed with the franchise after the guy who was the big bad guy head of the corporation got tired of it and left. But this is it. Do not go further. The franchise is in the ground, and you don't need to push it further. You should have stopped at Afterlife - maybe even before Afterlife. Did you consider making an Ultraviolet 2? I really liked the first Bourne movie. 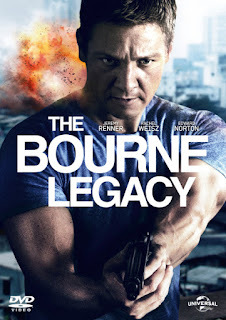 As the series progressed, Matt Damon got older - but in a world with Liam Neeson as an action star, Matt certainly isn't over the hill. For some reason, they decided to use the rapid quick-cuts during every fight scene with the camera moving in and out randomly. It got worse as the series progressed. By the end, every fight was just elbows and feet moving around with sound effects. Written by a different guy, with a different lead, and a different director, this is more of an off-shoot like The Scorpion King was to the Mummy series. That said, it was better than The Scorpion King. Indeed, it was better than the last Bourne movie. I suspect it was not good enough to have its own sequel, though; even though they set it up to have one. 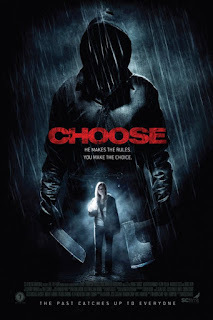 The tag line for this movie made me think that it was going to be the new Saw. The bad guy was going to give you two bad choices, and you had to pick in some kind of troubling ethical dilemma. So what did I get? I got a crappy movie. "But Tim, did it at least have good editing or something?" Well, the editing wasn't so bad I shut it off. The directing wasn't horrible, and the cinematography was okay. The rest of the movie was complete crap. Don't see it. I didn't know what to expect with this one. I mean, Joesph Gordon-Levitt is a known entity, but I just couldn't imagine him carrying a movie all that well. 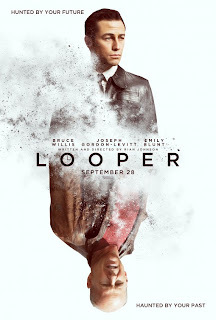 Yes, Bruce Willis is there to carry half of the movie, but the movie is really about JGL's character. Fortunately, he did a very good job in a well written movie. There was the occasional "WTF" moment - like when we see our hero pull out in his Mazda Miata in the future world. And then there's the fact that you can't kill people in the future, as they are all tracked. And then we see a bunch of people get murdered in the future with no negative consequences. Eye watched the whole thing. Eye don't know why. 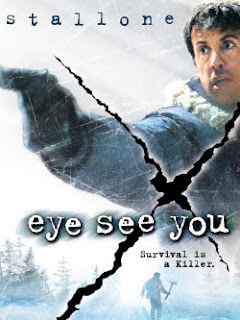 Eye mean, it was Stallone, so it's not like eye had high expectations, but it wasn't so good. The whole thing was a murder mystery, and it was one of those where you don't get enough information to actually make the determination yourself. This movie was called D-Tox in some countries, as the characters all go to a remote police-only facility for addicts. Nope, it doesn't make any more sense now that I wrote it out. I'm not sure if this came out at the same time as cliffhanger, and I'm not motivated enough to look it up. Everytime I see the cover art, I confuse the two movies. 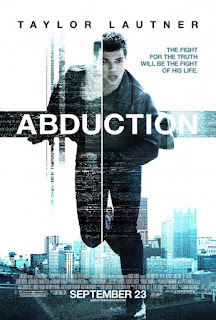 So, I am led to understand that Taylor Lautner is supposed to be the action hero/drama lead of the next generation. Well, i can't blame him for wanting to put some distance between himself and the Twilight series, and I guess you have to just pick a direction and run. Sometimes, you have picked the wrong direction. The first 58 minutes, which was as far as I got, were a swirling mist of I don't give a crap. They establish a routine and family interaction only to have it dashed - DASHED I say - into a million bits. Somehow Taylor is supposed to outwit, outfight, and outlast the bad guys while being the greatest detective that has ever been limited to two syllable words. If you have not seen is movie, stop reading, go watch the movie and come back; I'll wait. Okay - how great was that movie? I KNOW! I watched that movie expecting a Police Academy level of humor, and this damn movie was so much better! I mean, it was probably the best comedy I saw in 2012. It was a 2010 movie from Canada, and it won almost no awards. How does that happen? Black Swan was nominated for an Academy Award that year. Black F*ing Swan. This was not an overly complicated or even a cerebral comedy, but it was thoroughly entertaining from start to finish. The title gives it away, doesn't it? I don't know. I made it about 30 minutes in. 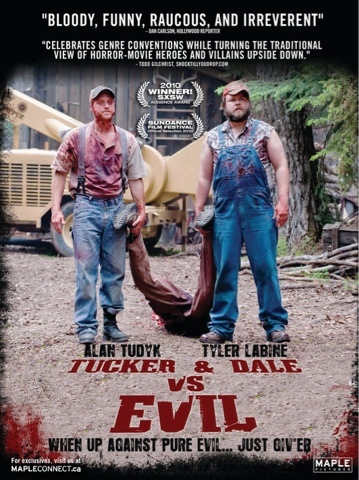 I looked at the reviews and the description, and I thought it would be a good, funny little movie along the lines of Tucker and Dale vs Evil. Alas, it was not. It was a disjointed mess of one guy's incessant internal dialog. The humor was attempted, but you know how you sometimes crack a smile and refer to it in a text or on the Internet as LOL? Imagine that, except without either the cracking a smile or expressing any kind of enjoyment whatsoever. Still, at least I probably know how it ends. Thanks, guy who wrote the title. It's been a good run, and you've done some great movies, played some fantastic characters, and told some wonderful stories. Time to hang up your... whatever it is that actors hang up when they hit a hundred and five. For the first five minutes of the movie, we are treated to following Clint around his house, complaining about his prostate, running into furniture, and swearing. I'm pretty sure all they did was put a camera in Clint's actual house and let nature take its course. 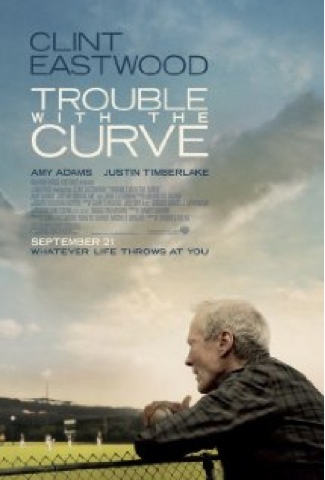 The movie is about an old guy regaining his relationship with his daughter. She - coincidentally - meets a guy while she follows her father from ballpark to ballpark. It's a pretty lousy movie. Even the wife didn't like it. Any exorcist movie that does not have the phrase, "The power of Christ compels you!" repeated for a solid five minutes is lacking something. This one lacked something. 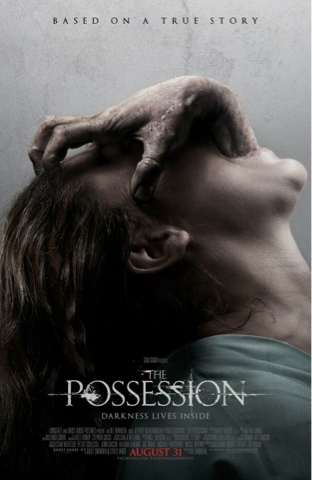 It's like they tried to merge the exorcism plot lines with the creepy little girl plot lines (like The Ring). 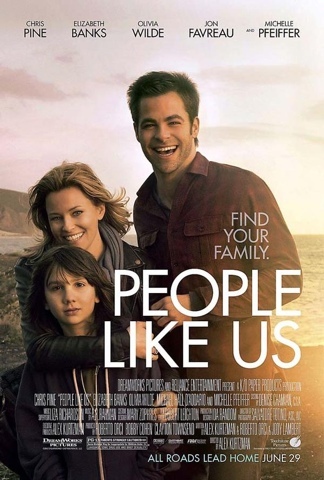 It's a shame, as the actors were clearly trying to do their best, and even the little girl did an admirable job, but the storyline, pacing, editing, and dialog were not that of a good movie. 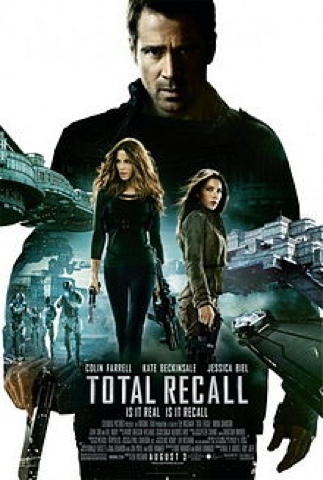 We watched the remake of Total Recall. It was slightly better than the original. 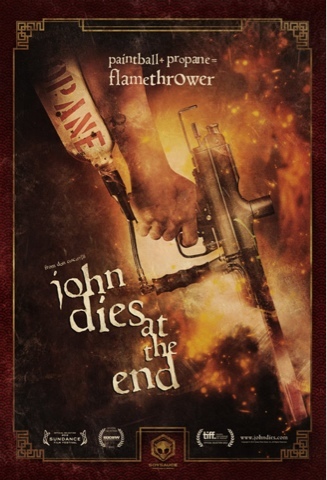 It was not as Great as I'd hoped, but I guess we can't expect all that much from Colin Farrell at this point, can we? I mean, I didn't know he was still producing movies. The plot is completely unchanged. I mean, yes, they made Sharon Stone/Kate Beckensale's role a lot bigger, but essentially they didn't do anything to the formula. It really needed more tweaking than it got. 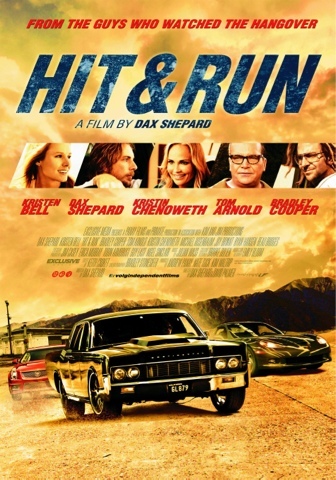 Watching Hit and Run. It's got a fairly predictable, mediocre storyline. It has the amazingly hot and surprisingly entertaining Kristen Bell and the triumphant return of Tom Arnold to the big screen. It's got a host of other B-level actors, but its better than some of the crappy movies I've watched lately. The real star of the movie is only in it for the first part, and its a very nice 67 Lincoln Continental. The guy in the movie (Dax Shephard) says that it had an engine swap and now has 700HP. The tiny little rear tires would absolutely shred if it had that, but it sounds great, and I just love suicide doors on a car. After they toss the Lincoln, it becomes a commercial for GM. A Solstice, a Camaro, a Corvette, and a CTS-V wagon... One of the CTS-V passengers even makes a comment about how fast the car is, even though it's a station wagon. Not a spectacular movie, but an okay commercial. Being out of Vermont brews, I decided to go with something from my adopted home. So I'm going with this one. I mean - what could be more Southern than something with "Southern" right in the name? Turns out, pretty much anything can be more Southern. This one is brewed in New York. Disappointing? Maybe. Delicious? Surprisingly, yes. It's got that secret of blending enough hops and malts together to have them mellow each other out, but it still has lots of flavor. The taste is a bit confused as a result of the myriad flavors, but it's not overwhelming. It is only a little surprising that it's good, but I can't deny that it is. Fortunately, I have a whole six pack to enjoy - AND it's a weekend. So, the wife and I watched The Amazing Spider-man. 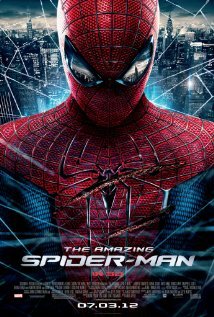 It was better than Spiderman 3, but it really kind of sucked compared to the original Toby McGuire one (even though I'm not a Toby fan). The acting was better, and even the dialog was better, but they picked a lousy villain and the story just dragged. And holy crap - if I want to see CG Spider-man battling a CG villain in a CG environment, I'd play a video game. At least then, I could get involved. Did they even bother to make an actual Spider costume for the main role, or did they just CG it every time? I've already said that I like ambers. This is another amber from the great state of Vermont. I saved it for last as the box that the whole package came in bore this logo. So, I had high hopes. It seems like those hopes were, unfortunately, misplaced. 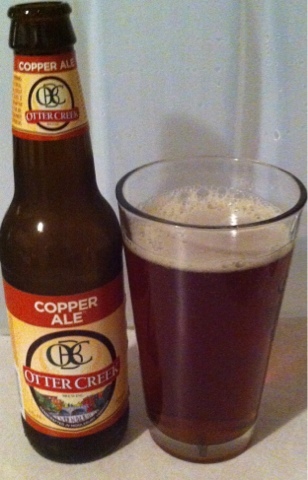 It's certainly not horrible, but the amber I had yesterday (the Otter Creek Copper Ale) just set the bar too high for this one to reach. I admit it: I like amber ales. It's not a personal failing, as some might suggest. They are a misunderstood form of ale. They aren't really hoppy, yet they don't have the maltiness of a lager. They lack the raspberry or cumquat of a seasonal ale, and they're not as respectable as a proper stout. All that said, another Vermont beer reddens my glass. I had high hopes, and its just okay. 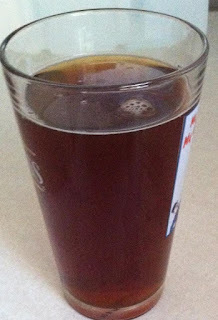 They are trying harder than Killians, for example, so it's got a good mix of malty ale. The overall taste is just fair, though. Further dilution of the storied Guinness brand. 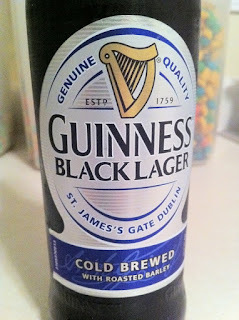 First, they outsource Guinness Extra Stout to Canada, and now they produce this unfortunate lager. It's not the worst lager ever (thank you, Budweiser) but that doesn't make it good. 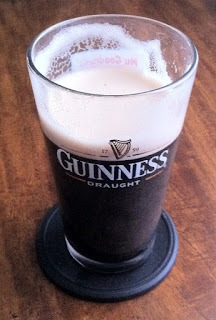 You can't just slap "Guinness" and "Black" on the label and make it good. This is the Cadillac Cimarron of beer. It will take years for Guinness to regain respectability. I mean, they already produced a decent lager - it's named after that giant harp on the label. This is my favorite beer. It is often imbibed incorrectly, and that's why people cringe at it. If you drink it quickly, it gives you a nasty bite and then an unappealing aftertaste. That's what the average person who doesn't like it thinks. The trick is to drink it in large draughts. When you give it a nice, big swig, you taste the initial flavor, and then this rich, creamy center takes over your mouth, and you don't want it to stop. When it does, you find the aforementioned aftertaste is actually a proper finish - like a bow on a present. Magic Hat #9 holds a special place in my heart. I've toured the factory and tried all the beers that they made during that season, and #9 was head and shoulders above the others. The thing is: they were all good. 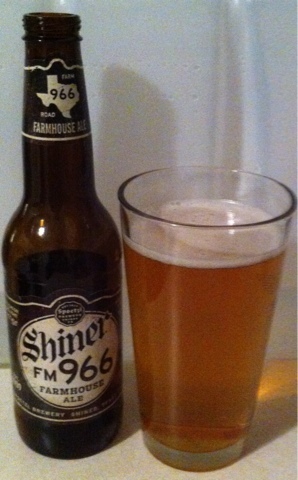 And that's what's special about number 9 - it's a great beer even when you compare it to very, very good beers. I'm going to approach this like I've never seen it before. It will be hard, but I get to drink more of it, so I'll muddle through. The pour is a mostly clear orange-ish gold. It has a good head that dissipates all but a ring around the glass. That'll stick around while you drink. the aroma has a little bit of burned malt, hops, and what I'm pretty sure is apricot. SweetWater IPA. Brewed in Atlanta, and unfortunately not the best IPA I've had ever. Brewed in Southern Pittsburgh (also known as Nashville). It's a smooth - if kind of bland - German style Kölsch. Tonight's beverage is another import from Atlanta. 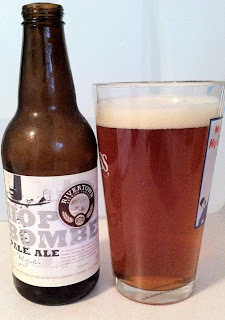 It is an amber ale that is more mild than most microbrew ambers, but still has more taste than something like Killian's. Honestly, though, it reminds me of when I had Rogue Dead Guy Ale in that it's a fairly average representative of the beer, but it's way overpriced. Cammo calls this "Watermelon" for a reason which escapes me. 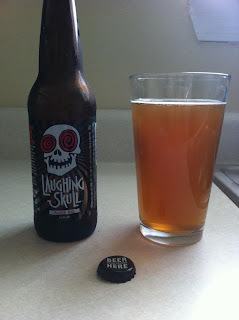 I took a swig and found a strong taste that made me anticipate an unpleasant bite that never materialized. It turned out to be flavorful and smooth. Great job, man. Like all Cammo brews, the fancy label draws you in. I like my beers to have a hoppy flavor that wheat beers just don't have. 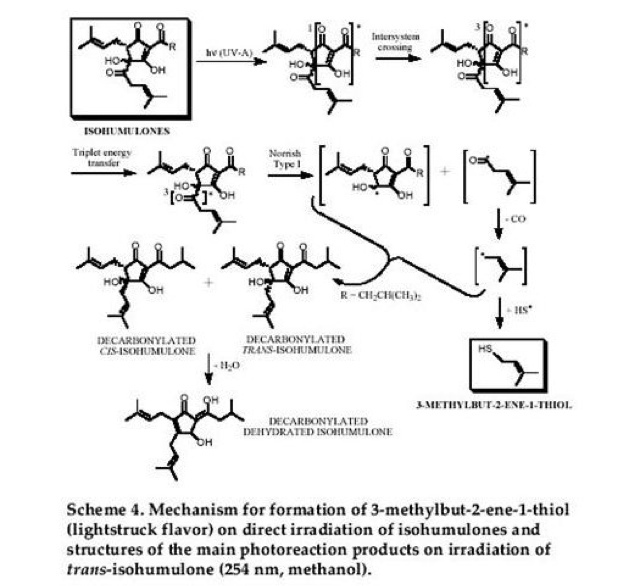 Instead, they are known for their phenolic compound guaiacol. That's what give it the clove taste that is just a bit off-putting. 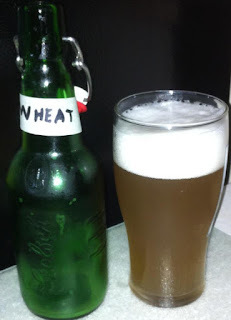 This beer is a fairly standard wheat beer that gets better when it warms up a bit, but is not great when very cold. 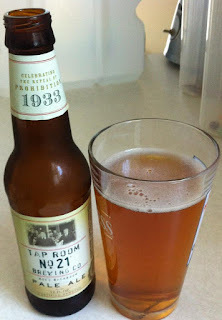 The latest beer to tempt me in my quest to replace my beloved Guinness is Tap Room 21's Pale Ale. It's certainly hoppy, but it's finish isn't mellow at all. In fact, it's a bit of an unpleasant bite. This is Cammo's latest ale. It's bitter. It hits you like a hammer right off the bat. Unfortunately, the finish is a bit harsh. Aside from that, it's a nice little beverage - I suspect five or six would make me forget about the finish. I got this because of the label, I admit. 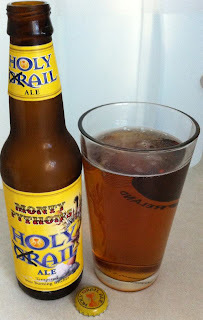 It's not often you come across Monty Python's Holy Grail Ale. Surprisingly, it's a very good ale. It's a bit more mild than I usually like, but it's really, really smooth. I didn't expect this. From Portland Oregon, we get today's attempt to replace Guinness Draught Bottles after they were ruined. 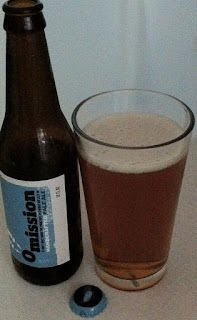 Omission Pale Ale has an unpleasantly heavy aroma, but the taste is actually fairly decent. The finish is pretty rough, and it needs to be as mellow as the rest of the beer tastes. The finish is just as strong and off-putting as the aroma. 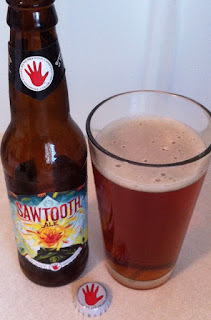 From Colorado comes Sawtooth Ale. It's certainly flavorful. A bit overpowering, but would be great on a cold winter night. 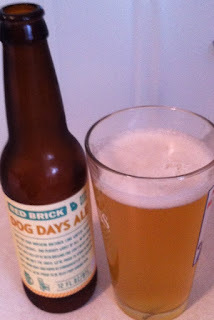 Dog Days Ale is a Red Brick brew from Atlanta. It's not fabulous. 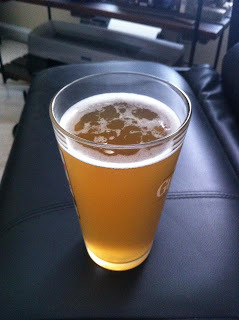 It is very pale and coincidentally tastes like an interpretation of an ale by someone who has only ever brewed blondes. 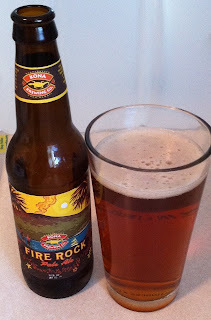 Fire Rock Pale Ale from Kona Brewing Co. in Hawaii. It's got good flavor, good color, and is immanently drinkable. If anything, it's a bit too mild, but it's got the taste of high alcohol content, even though it's only 6% which makes it about average. 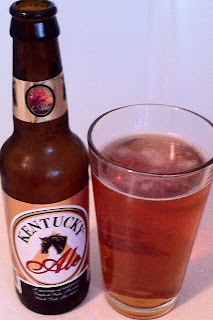 A curious mix of English Pale and Irish Red, it's easy to pound a few of these beers brewed in Lexington. 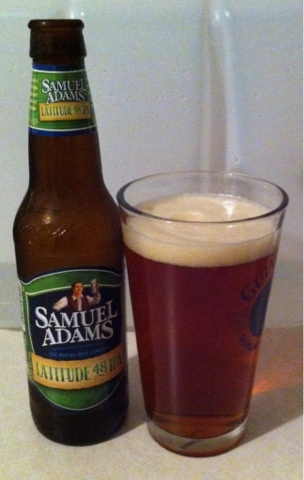 It's got more flavor than an amber, but it's more mild than a pale ale. 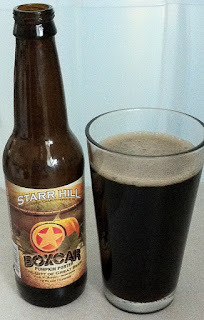 The Starr Hill Boxcar Pumpkin Porter. It's hard to find a good porter, and this doesn't qualify. It's drinkable, but I assume better beverages have come from the Charlottesville, VA brewery. 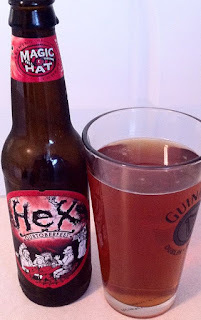 Magic Hat Oktoberfest Hex. It's a bit odd that Oktoberfest is in September and yet this has a Halloween theme, but whatever. It's a good beer, if a bit bland. Good for drinking with almost any food or guzzling a dozen. Hop Bomber from the land with an O on both sides and a "hi" in the middle. It's not as hoppy as I expected, but it is not bad at all. 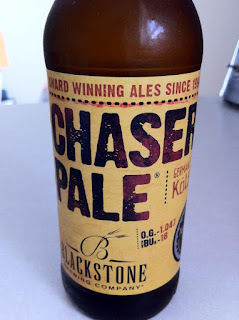 It's a darn good pale ale, but it does have a bit of a bite at the front end and at the back end.